New additions for my series of #WarriorsWeek homemade Cheer Cards! Inspired by the NBC Sports Bay Area artist cheer cards for the Oakland Athletics, decided to create my own versions for the Golden State Warriors. 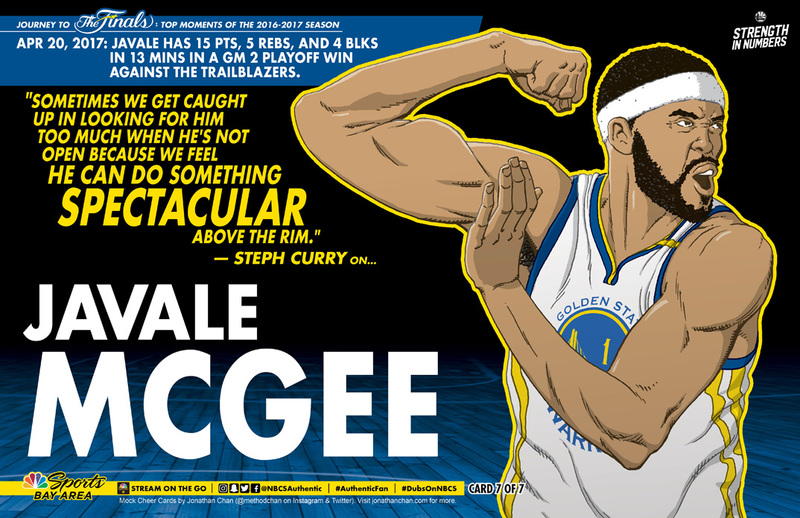 Here’s the third of my second batch: Javale McGee. More to come! GO DUBS!